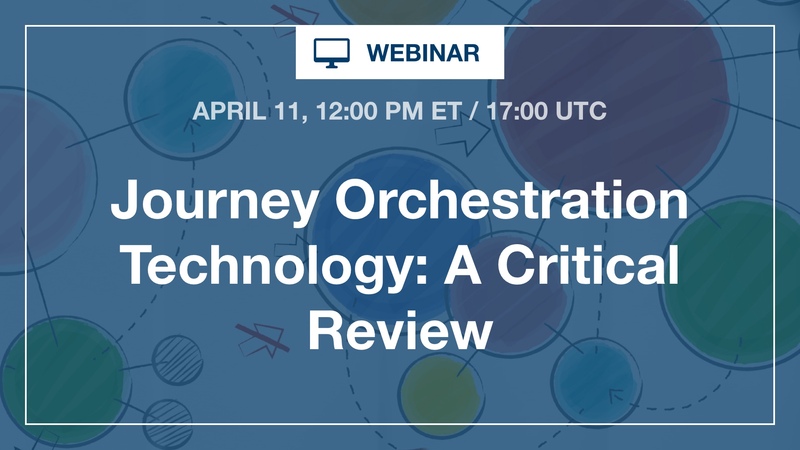 Journey Orchestration Engine (JOE) technology has risen to the fore in recent years as enterprises seek to deliver more holistic, omnichannel experiences and programs. This is a young technology segment, however, with an array of small pure-play vendors and offshoots from major martech suites. Join RSG founder Tony Byrne as he unveils RSG’s newest evaluation research. We’ve taken our typical critical approach to these vendors and evaluated them according to key business scenarios and technical attributes. Register now for this exclusive sneak peek!